Did Someone Else’s Negligence Injure You in Texas? Below, our local Texas lawyers explain the basics of personal injury claims and applicable state laws. However, no two injuries are the same, so the process of filing a personal injury claim may vary from case to case. The best way to learn how the law applies to your situation is to consult a personal injury attorney. If you need immediate legal assistance, then consult our directory to find a lawyer near you. What Are Texas Personal Injury Laws? Texas personal injury laws place limits on the amount of compensation you can recover in certain types of cases by imposing “damage caps.” These damage caps apply only to non-economic damages, which means that there are no restrictions to recovering the full amount of your medical bills and actual expenses. Only damages like pain and suffering, and loss of consortium are limited by damage caps. 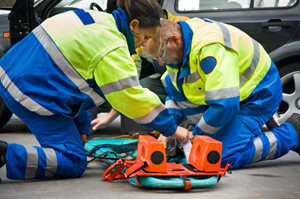 Additionally, all damage cap laws include exceptions for cases involving wrongful death and serious injuries, such as severe traumatic brain injuries. The Texas medical malpractice damage cap restricts non-economic damages to $250,000. Medical malpractice damage caps are often controversial, since injuries from medical mistakes are frequently catastrophic and debilitating. Texas is one of only a handful of states that imposes a non-economic damage cap on all personal injury claims. This means that, no matter the type of accident or situation that caused your injuries, you can only recover a maximum of $250,000 (or $500,000 if against more than one party) in non-economic damages. Punitive damage caps are the most common limitations on recoveries from lawsuits. Federal laws limit awards of excessive punitive damages, but some states impose even more restrictions. The Texas punitive damages cap is determined by ratio, where punitive damages cannot exceed a 10:1 in return. In other words, punitive damages cannot be more than 10 times the initial award given. For example, if the trial court or jury awards $100,000 in recovery, the court must give less than $1,000,000 in punitive damages. In Texas, the award for punitive damages cannot exceed three times the amount of the economic damages recovered.